Sharon Cuneta shared on her Instagram account that she’s glad when every member of her family is present at dinner. 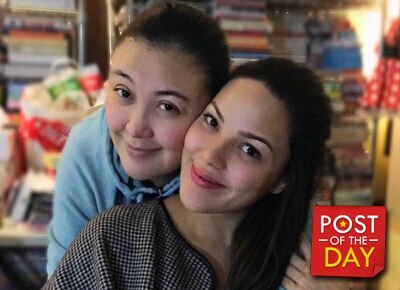 The Megastar, who is sick, was visited by her eldest daughter KC Concepcion and brought her pajamas. KC took over Sharon’s Instagram and told her mom’s followers that her mom’s not feeling well. Sharon couldn’t wait to get better so she can start recording for her new album.